The man behind plans to turn a disused Melrose theatre into an artist’s studio and gallery believes his proposal would prove a real asset to the town. The Southern recently published a letter on behalf of a group keen to see The Wynd resurrected as a theatre and which claims the studio proposal by Ken Rodgie, of St Boswells, was “bad news” for the theatre’s supporters. The letter added that the group of local enthusiasts – Melrose & District Community Arts Trust (MADCAT) – has been working on a rescue plan to save the property as a performing arts space. The Wynd Theatre building, which sits on a pedestrian vennel between the town’s Buccleuch Street and High Street, was originally an armoury for the Border Light Horse Brigade in the late 19th century. It had been used as a bedding factory up until its conversion into an 82-seater auditorium in 1995 by then owner Felix Sear. Mr Sear sold off three adjoining first-floor flats in 2005 and a former London lawyer and his wife, Mark and Jo Clough, bought the theatre. But the final curtain fell last year and The Wynd has been on the open market ever since, with selling agents Rettie seeking offers over £99,500. Mr Rodgie’s company, The Rodgie Gallery and Print Ltd, has secured an agreement to purchase the property subject to the successful granting of change of use consent – today (Thursday) being the deadline for objections. MADCAT says the loss of The Wynd as a performing arts venue would seriously hamper not just Melrose’s ability to attract touring repertory companies, but also to put on locally-produced drama. However, the wider community does not seem that bothered, with only five objections lodged so far with Scottish Borders Council planning department and when considering the planning application earlier this month, Melrose Community Council had no comment to make. 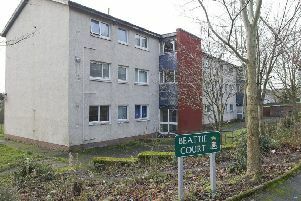 If Mr Rodgie’s scheme gets the go-ahead, it would see extensive renovations to the property, including the construction of a modern glazed facade. The gallery would feature the work of many Scottish artists, including Mr Rodgie’s wife, Lynn, whose work is nationally successful. Speaking this week, Mr Rodgie said it had never been his intention to trigger a dispute over the project. “If this had been originally built as a theatre and only recently ceased hosting productions, I could understand concerns about its loss,” he said. Mr Rodgie said there are ample venues for performing arts in Melrose, a view highlighted in the planning statement attached to the application.